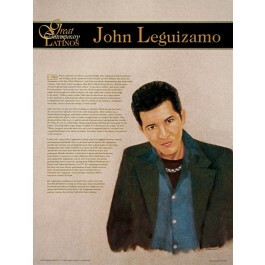 This poster of actor and playwright John Leguizamo features an artist's illustration of Mr. Leguizamo, along with biographical text illuminating his life and career. 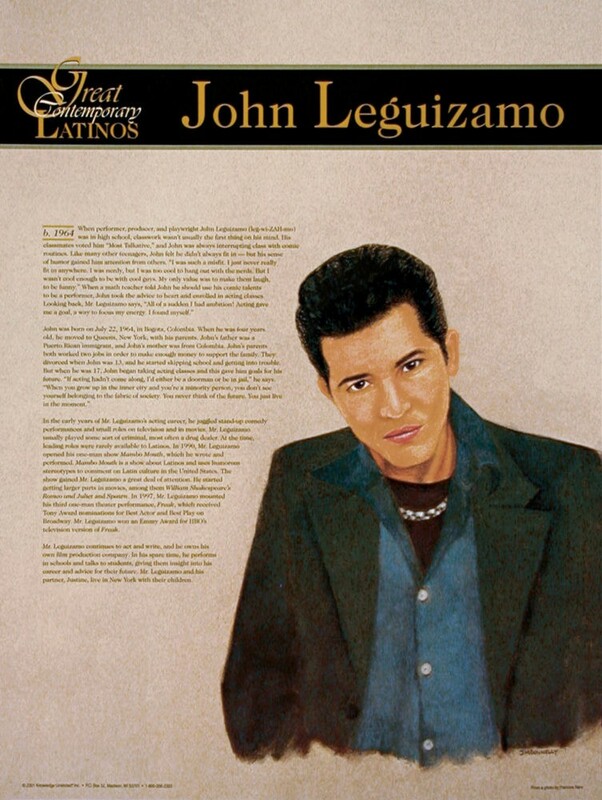 John was born in Colombia and moved to New York City with his parents when he was four years old. He has been recognized for his outstanding work in live theater, as well as on TV and in movies.